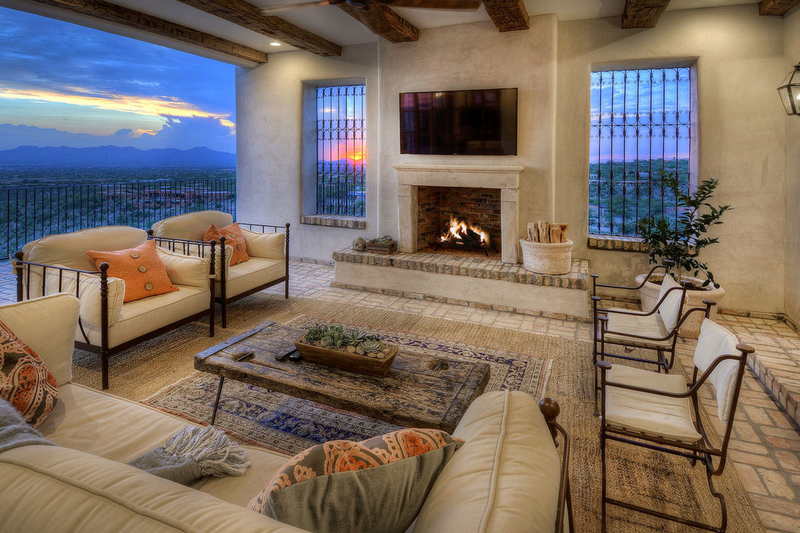 Beneath Finger Rock in the Santa Catalina Foothills: An inspired renovation which aligns a 1980s contemporary with Tucson's earlier architectural traditions. 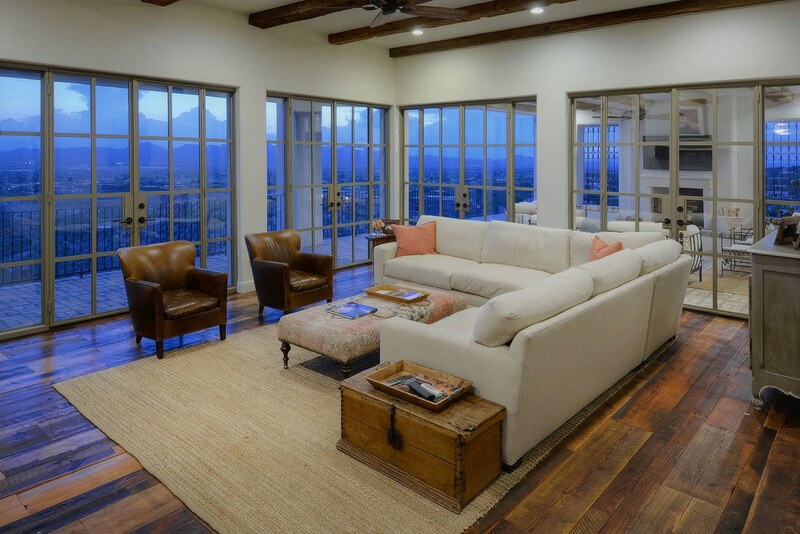 The renovated home improves the Owners’ mountain and city views, conveys a quiet sophistication through the interior and exterior design: while fitting into the desert foothills landscape in a manner subtly reminiscent of the work some of the best historically-inspired Tucson residential architects. 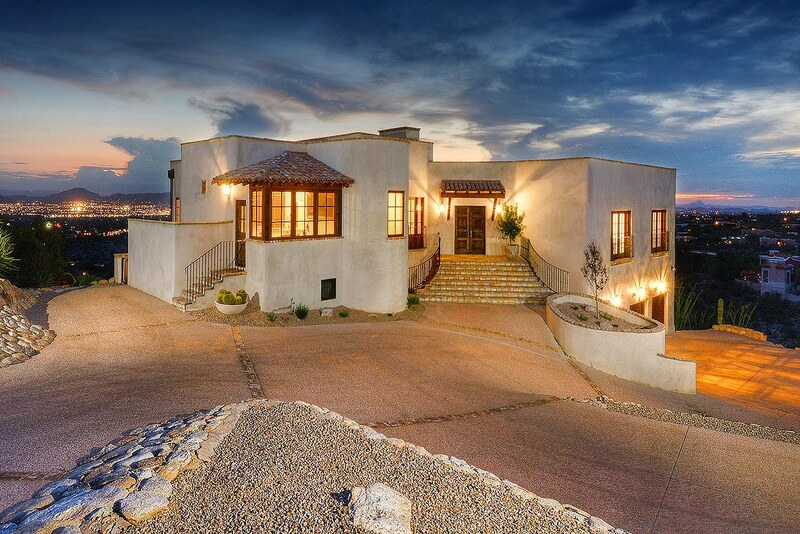 Spiral Architects was requested to assist in the renovation of an early 1980s contemporary home on a Catalina Foothills site with unparalleled mountain and city views. The owners wished to create a home inspired by the best examples of rural Mediterranean design, yet faced significant challenges given the home’s floor plan, which placed all the primary living spaces (family room, kitchen, dining room) on the second story, with little to no chance of the direct access to exterior courtyard, and other outdoor spaces so characteristic of that architectural style. With initial drawings already permitted, Spiral suggested minor plan changes to improve the design, while allowing construction to move forward. 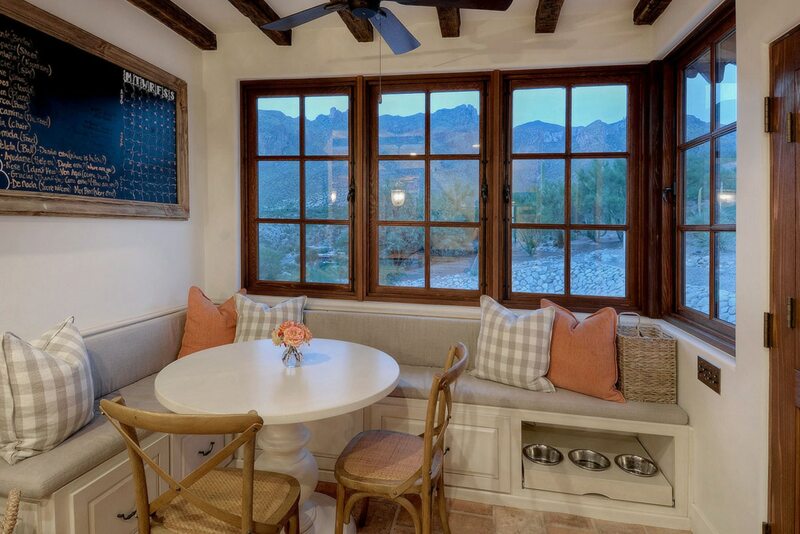 The Owners then requested that the interior and exterior of the home be rethought in a more cohesive, traditionally-based manner, drawing inspiration from Tucson’s significant architectural design heritage. The second story porch (originally fitted with a storefront aluminum window system facing west, complete with decals to prevent bird strikes) was recast with a reclaimed antique French limestone fireplace, salvaged antique wrought iron grilles sourced by the owners, and reclaimed Chicago Common brick laid in a traditional basketweave pattern. Tiled awnings were added over key doors and windows, and a new integrally colored coat of stucco was added to the exterior with a smooth texture that is more complementary to the desired style of the home. 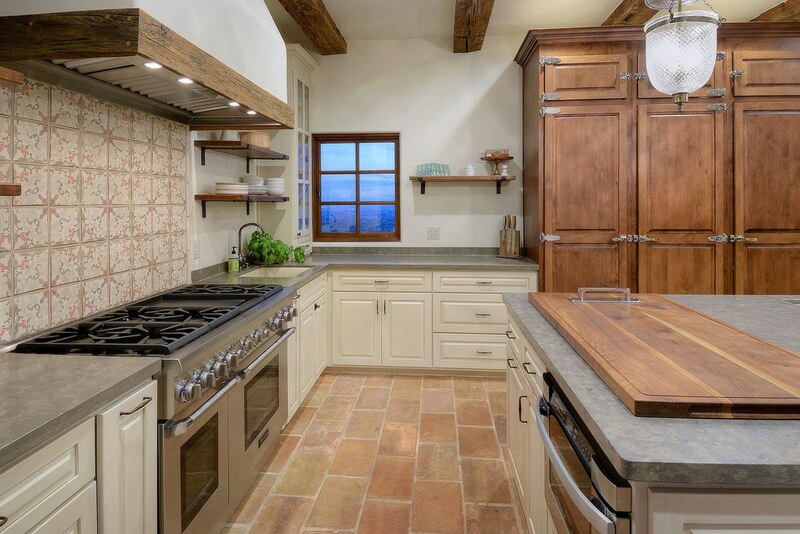 On the interior, reclaimed beams were added in new carefully considered layouts, along with new skylights in the kitchen, and new lighting selected by the owners. 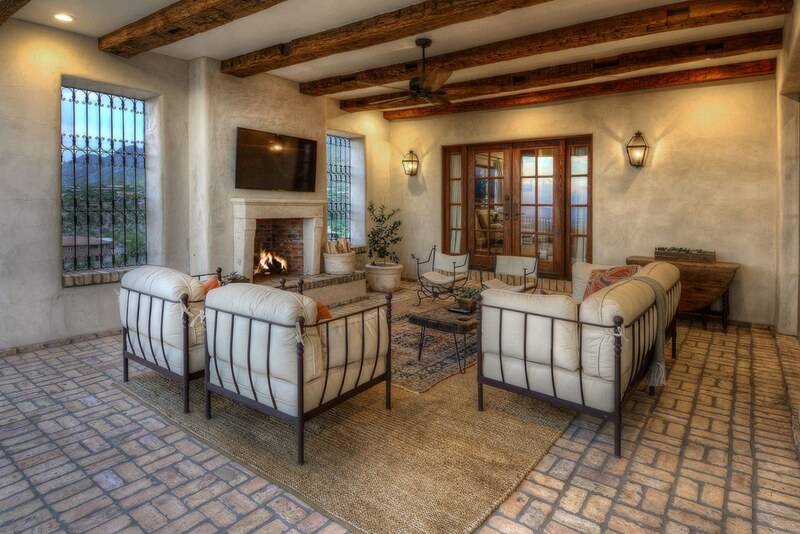 Reclaimed terra cotta and wood plank floors were added to the all the primary living spaces. 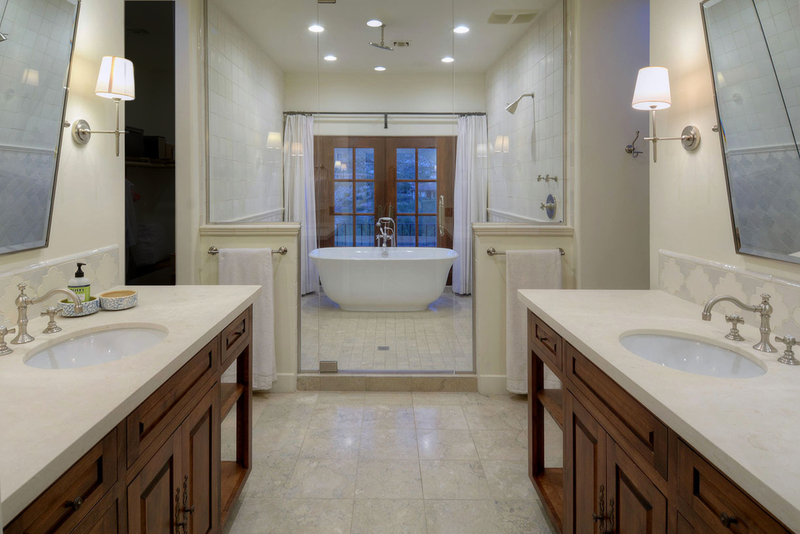 The master bedroom received a new corner fireplace, and the master bathroom was wholly reconfigured to include back to back his and hers vanities, and a wet room with dual showers and European soaking tub.